Group Of African Cape Buffaloes Filmed With Gopro From The Ground. 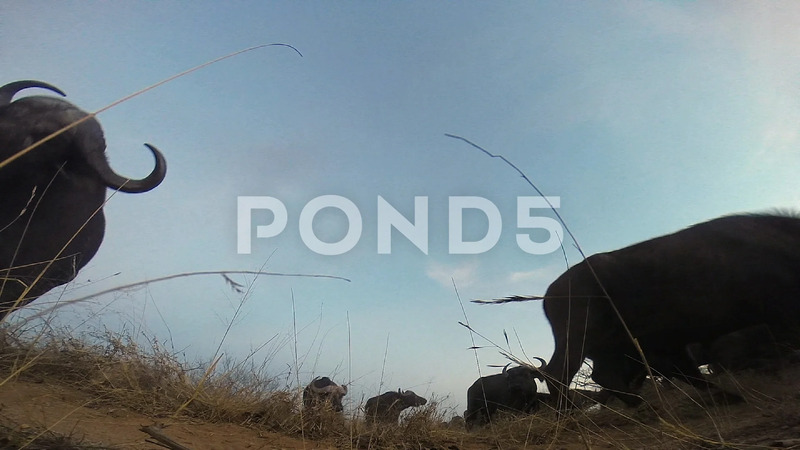 Description: Group of African cape buffaloes filmed with Gopro from the ground. Close-up of one buffalo that approaches the action camera. Filmed in Greater Kruger National Park in South Africa.